The Chaperone is a well written, fascinating story. I’d never heard of Louise Brooks or the fact that the Catholic Church in New York arranged for orphans to be put on trains headed west to find families to take them in. Combine this silent movie icon and those orphan trains, and I have a new favorite book. Did you know there is a Louise Brooks Society for heavens sake! Laura Moriarty is a writer’s writer. She builds this story around the woman who chaperone’s Louise Brooks when she is accepted at a summer dance program in New York. The 1920’s and 30’s setting of the novel is rich with the manners, clothes, prejudices, and social norms that all inform the story. I insist you add this title to your reading list. I will leave you with one of my favorite passages in this excellent book. 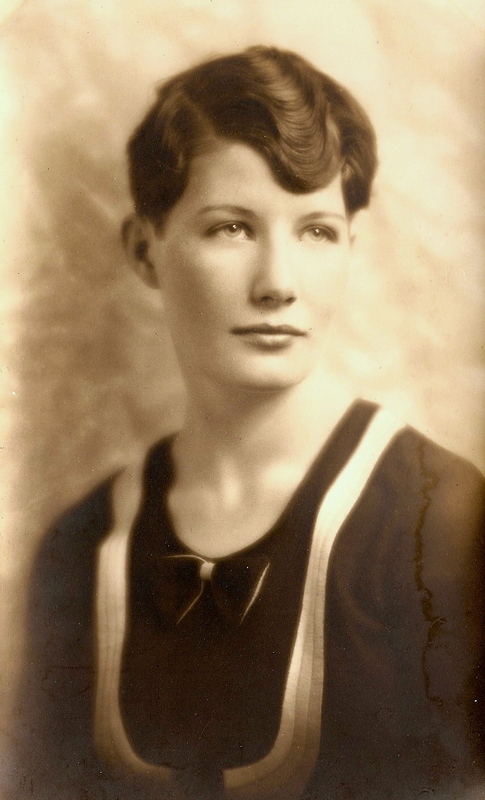 My own beautiful mother in the 1920’s with the new haircut of the times. 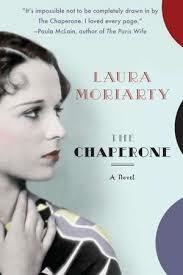 This entry was posted in A Writer's Writer and tagged Book Reviews, The Chaperone-authorLaura Moriarty. Bookmark the permalink. I just read “Orphan Train”. I didn’t know about these sometimes tragic efforts to find homes for orphans. This book will be an interesting, different view. You have inspired me to read this book! I visited a church in Lucca, Italy where the “orphaned” babies were placed in a sort of turn-style opening in the wall which swung them around to the inside garden area and awaiting nuns. Interesting how these tiny creatures are transported to their new homes. I’ve read about the orphan train, but don’t remember where. I just remember being shocked that such little ones were shipped across the country like they were livestock.